The Rabbi with a Blog (Rabbi Jason Miller): Welcome to NY Isiah Thomas! 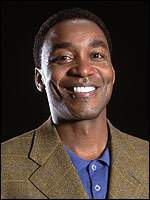 Welcome to NY Isiah Thomas! Zeke is coming to the Big Apple to head up the front office of the Knicks. I'm pretty sure that he's held on to his Lone Pine Road (Bloomfield Hills) home while living in Toronto (Raptors owner and VP of Basketball Ops) and in Indiana (Pacers Head Coach). I wonder if he'll sell it now. The last time I saw Isiah was at Metro (Detroit) Airport a few years back when he was having a hard time getting through security (and that was pre-9/11). Good luck in New York Isiah. You've finally made it to a "Big Market Franchise." I can't wait for the first deal you make with Joey D in Detroit.